The first time we saw a PappaRich restaurant was in Malaysia, in the heart of KL. We wondered who on earth would want to eat in that cheesy-chainstore-y looking place when we're surrounded by street stalls and wonderful hole in the wall restaurants like Hussain Bistro Curry House? Not us. And not anyone else really, it was near empty whenever we walked by. 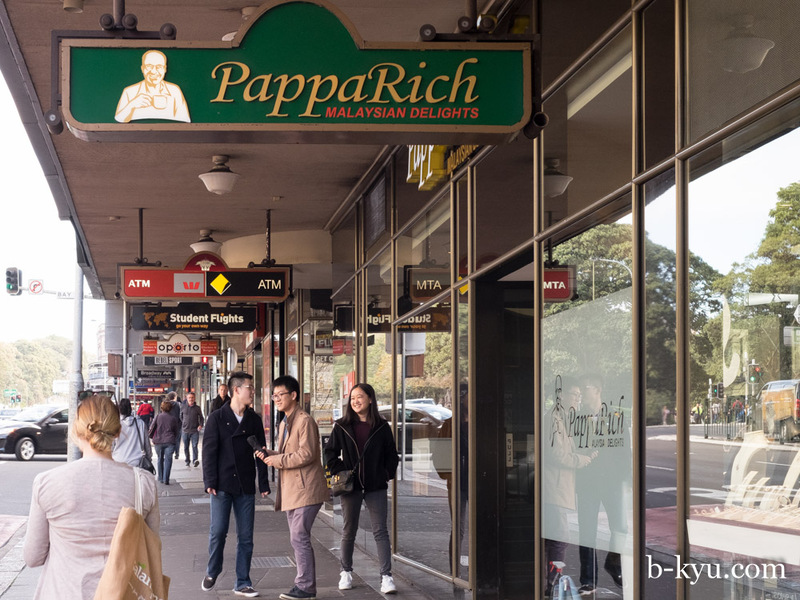 So we were perplexed when PappaRich became an instant smash hit when it opened in Sydney. Really? It seemed so McMalaysian to us. And kinda pricey. We put it's popularity down to Sydney's lemming food culture and chose to hate the place on principle. Two years later we decide to try PappaRich so we can make snarky comments with complete authority. We've been several times and can now safely say we completely disagree with each other when it comes to PappaRich. Shawn had low expectations simply because PappaRich is a chain store, and ended up loving the place, particularly some of the more offbeat dishes. Alison had high expectations after all the social media hoo-haa (which Shawn never reads), then found PappaRich fell short of her lofty expectations. We have the same argument about Ipuddo, the Japanese ramen chain. Shawn loves it, Alison reckons Ipuddo is McRamen. Shawn accuses Alison of subjectively hating on PappaRich and Ippudo simply because they are chain stores. Come to think of it, is there anything really wrong with that? We put so much effort (and money!) 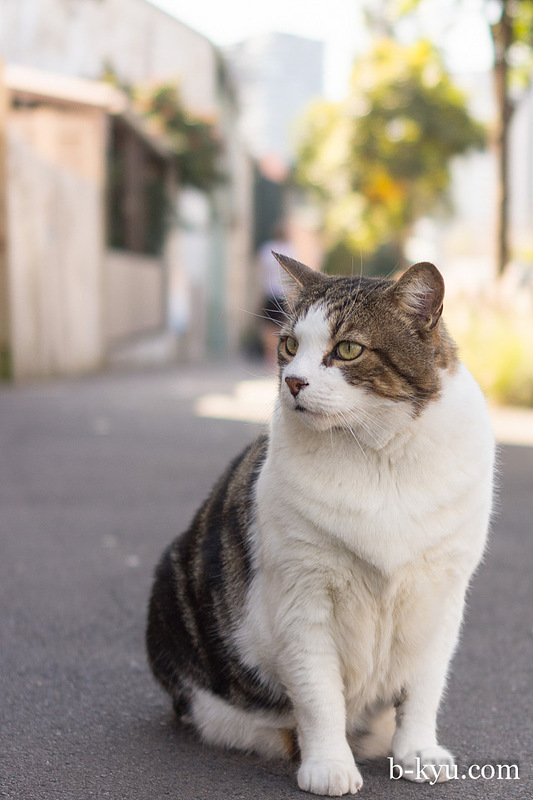 into being fair and objective, we can allow ourselves some subjective hatred now and again (our hatred of Surry Hills lemmingry is still purely objective and justified though). PappaRich and Ippudo may make some fine food and bring it to new audiences, it's just a shame that yet another part of our food landscape is being overtaken by chain stores. When we sniff around our favourite haunts such as Chinatown, Hurstville and even Kingsford, we're finding the smaller, family-run places are getting pushed out by shiny chain store places. Finding that extra level of b-kyu magic is getting harder and harder. Shawn finally gets Alison to admit she loves Pappa Rich after visiting their Canberra restaurant. Sometimes that "know what you're getting" chain store factor pays off. PappaRich's prices are a little higher than your average Malaysian hole-in-the-wall, but it's worth it for the nice surrounds, though it's not that unique 'overseas' experience we seek. In summer the lunchtime breezy outdoor ambience of Malacca Straits down the road is hard to beat. 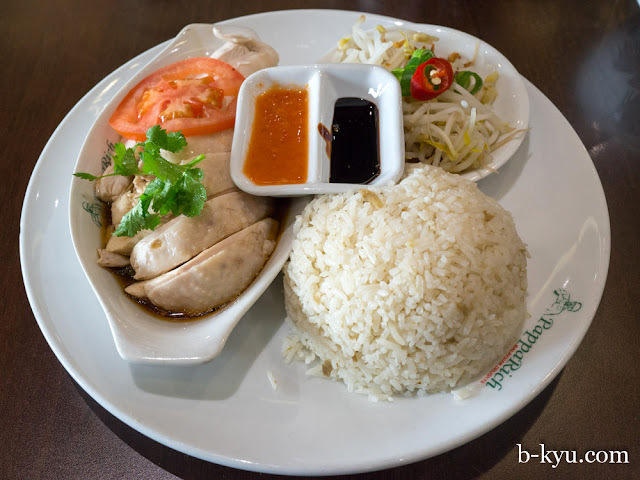 Pappa chicken rice with steamed chicken - $13.90. Mr Shawn loves chicken rice in all it's guises and this one is no exception. It's a substantial serve with plenty of flavour. Bean sprouts are a controversial ingredient in chicken rice so it's wise to serve them on the side. The chicken is doing backstroke in a pond of sauce tasting of soy and sugar. Chicken rice purists frown on adding sauce to the chook, but as Lesley Tay taught us, today's mass produced chicken doesn't have much flavour, so adding sauce to your poached chook is fine in our books. Hainan steamed bread with chicken curry - around $10. 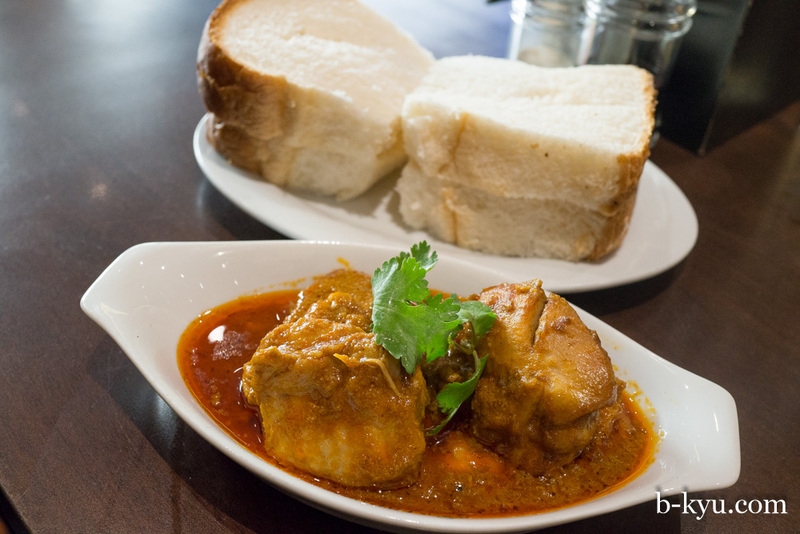 A rich and mildy chili hot chook curry with thick slices of white bread to soak up the sauce with. The bread is just like the super soft light fresh hot white trash bread we'd get from the bakers on a Sunday as kids. It's a perfect blank canvas to the curry. Awesome! 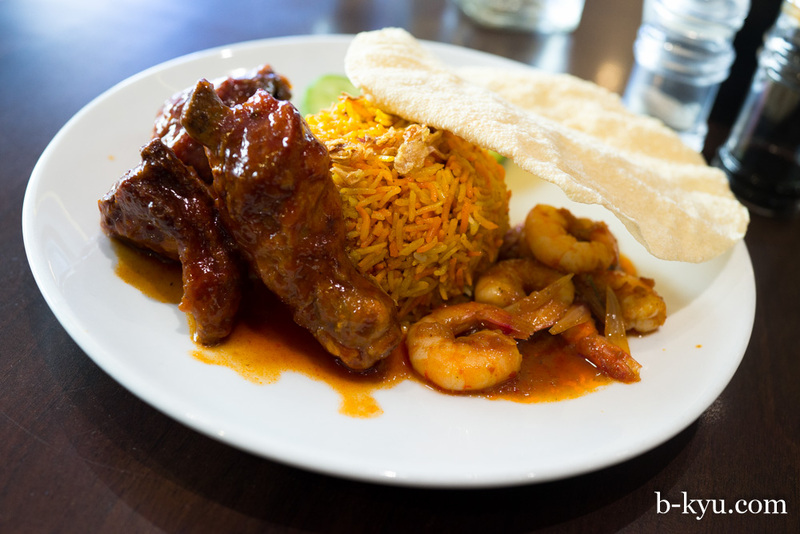 Biryani rice with sambal prawns and red chicken - $13.90. Whenever we've had Biryani in non-Muslim/Indian/Pakistani/Sri Lankan restaurant it's always been pretty crap, yellow gloopy rice. But this Biryani is pretty dang good - long separated grains an plenty of visible spices. There's a couple of versions of this dish. This once comes with a few prawns in a gently spiced, sweet prawnie sambal. And there's three lumps of chicken on the bone in a sweet red sauce, too sweet for some, perfect for Shawn. 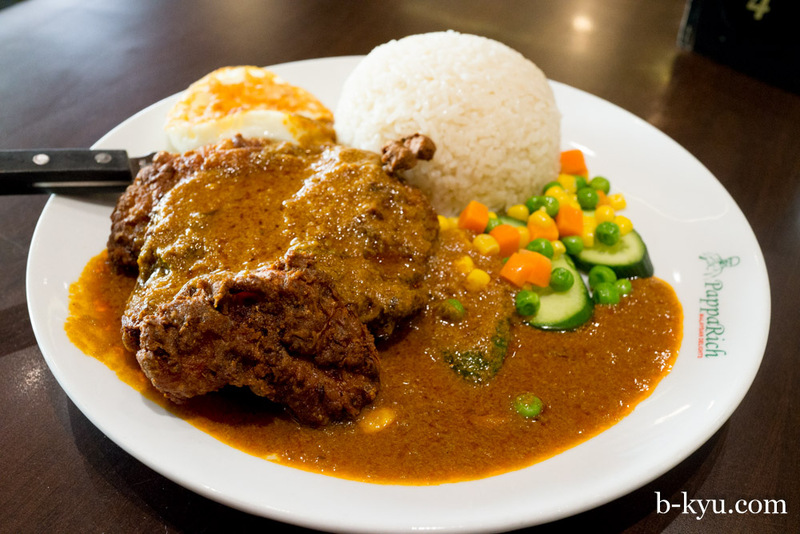 Hainanese curry chicken chop rice - $16.90. This is like a Malaysian version of the schnitty or parmy: a solid slab of chicken fillet deep fried with a nice thick crisp crust. Over the top there's a creamy lardy coconut-y curry sauce. There's also a fried egg and a thunderdome of coconut rice. All zillion calories are negated by the sprinkling of veggies. It's pricey for a chicken chop but justifiably so, Pappa cooks a mean bird. 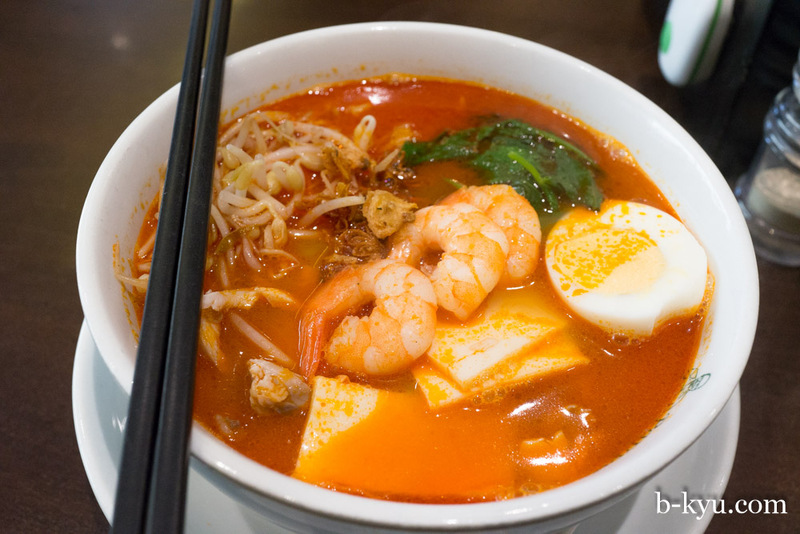 Prawn soup - $13.90. 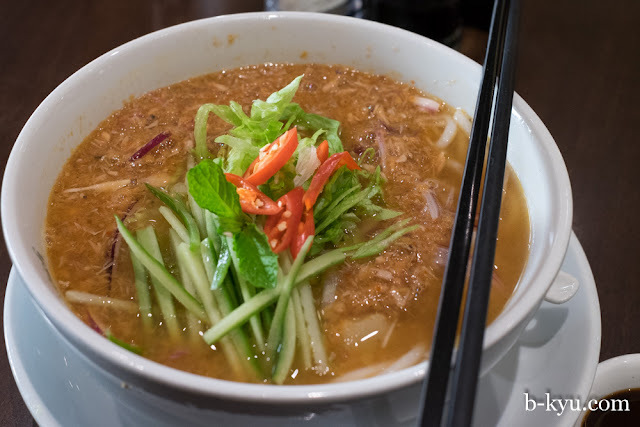 The har mee comes in a big bowl with a mild sambal on the side. The soup is prawny with a nice mild to medium chili hit, which makes up for the broth being sweeter than we like, and it leaves a nice red ring around the bowl. There's three line-dancing prawns, some fish cake and chicken, but none of those crunchy lardy fried bits that so often top off a har mee so nicely. Shawn loved this one, Alison thought it was so-so. 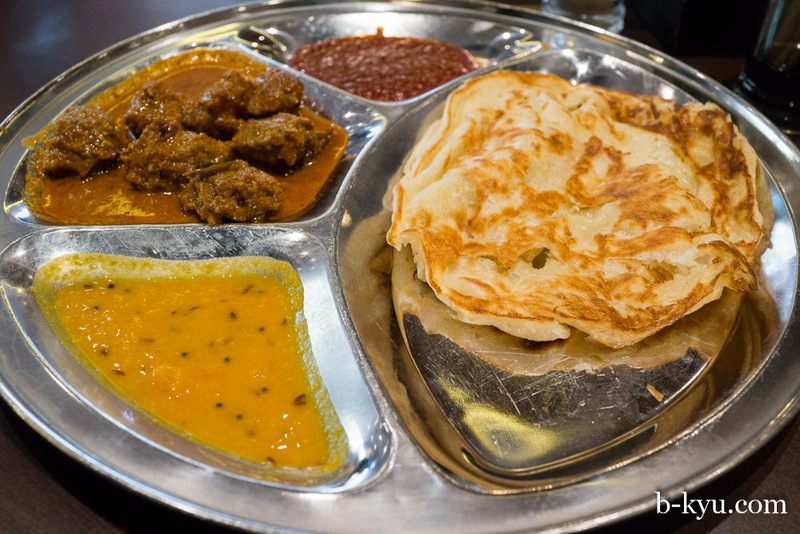 Roti canai with vegetarian mutton - $14.90. The roti is excellent. Folks will argue that Mamak is a better but we don't have to line up for an hour to get it. The veggie sauce is great but that sambal is ketchup sweet, yech. The vegetarian mutton curry was worth a try out of curiosity, we love our textured vegetable protein, seriously, we really love some TVP. This TVP is light in texture and doesn't add a lot to the meal. The regular roti canai is seven bucks cheaper and way better value. For TVP magic we love that vegan Thai joint on King Street, Newtown, they do a mean fake duck. Penang laksa - $13.90 is a nice easy listening version, lightly spiced, lightly fishy, a little more funky when you add the side sauce. 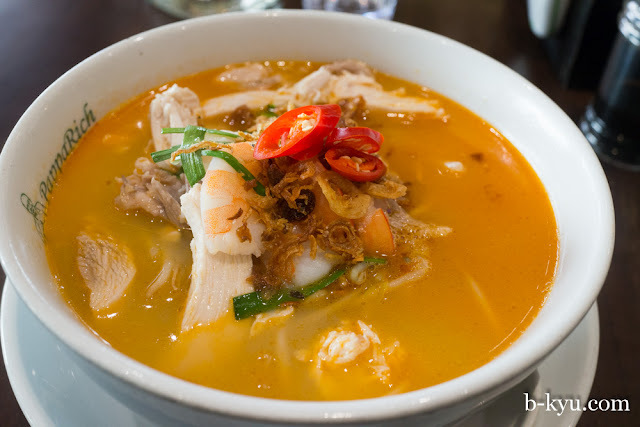 Unlike a regular laksa there's no coconut milk and there's plenty of fish, it's a fairly healthy soup. 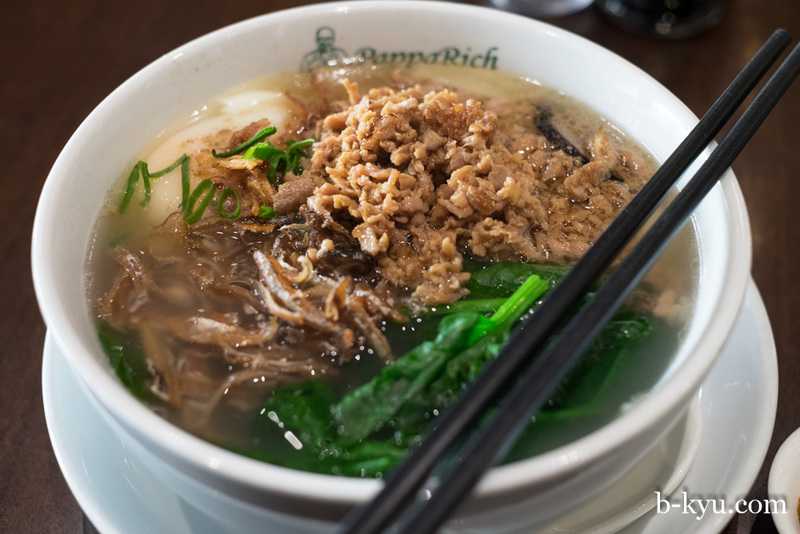 Pan mee ($14.90) is one of Shawn's all-time favourite noodle soups, it's a magic mix of mince meat and dried anchovy in a clear, clean broth and chumpy, pasta-like flat noodles. PappaRich's version of pan mee comes with a soft poached egg which adds another layer of protein jollies to the broth. Beware the sambal served on the side has a serious chili bite. As Shawn slurps through this bowl he blisses out and becomes at one with the cheezy muzak soundtrack that is always playing at PappaRich, resisting the urge to squeal in delight. Maybe he was just having a good day. It was a great soup but it's hard not to compare it to the extra amazing pan mee we tried in KL's Imbi Markets and Penang's Sri Weld Foood Court, complete with handcranked noodles made fresh on the spot, plus a more nuanced broth and balance of flavours. The amount of mince meat in PappaRich's pan mee reminded us of the soup we had at Peter's Pork Noodles in Brickfields, sans pork of course. But still, PappaRich's pan mee is a fine noodle soup, worth the hefty fifteen dollar price tag. Alison also tried the dry pan mee but didn't like it so much, we just much prefer the soup version of pan mee. 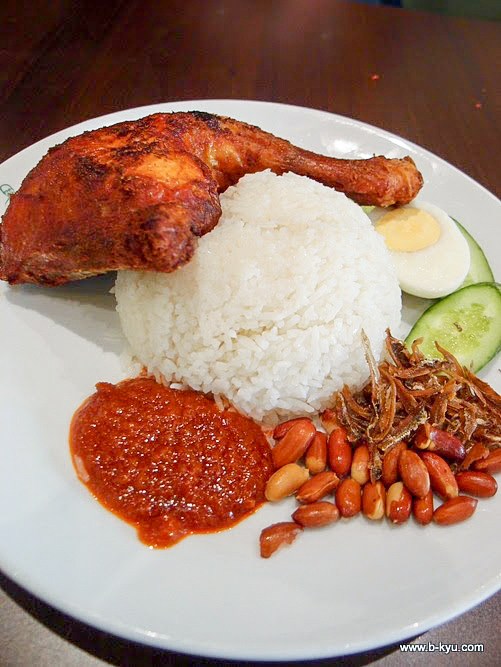 R06 Nasi Lemak with Fried Chicken - $13.90. This one hits all the required boxes for a standard dish. Fried chicken - check. Egg and cucumber - check. Cruncy anchovies and peanuts - check. Coconut rice - check. Sambal sauce - check. Head around the corner to Malacca Straits for a nasi lemak that's a little different and kinda special. N12 Ipoh Koay Teow Soup with prawns and chicken slices - $13.90. We expected a clear broth but it was surprisingly prawny, it was like the har mee but less spicy, there's chili on the side if you want more heat. 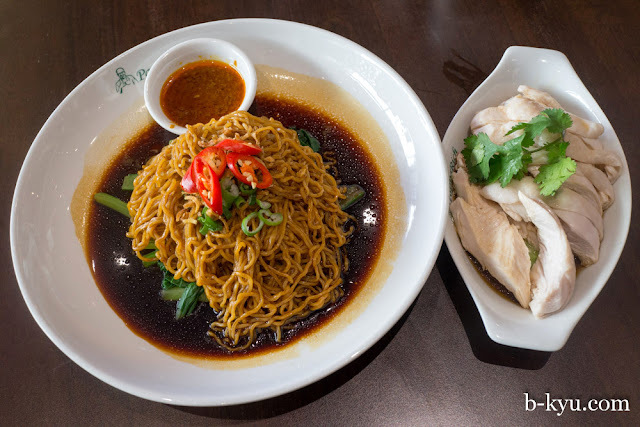 N11 Dry curry egg noodles with steamed chicken - $13.90. This was one of the kookier sounding dishes on the menu so we just had to try it. The noodles were ok and the chicken was ok but they didn't go together that well, a bit of a mystery. 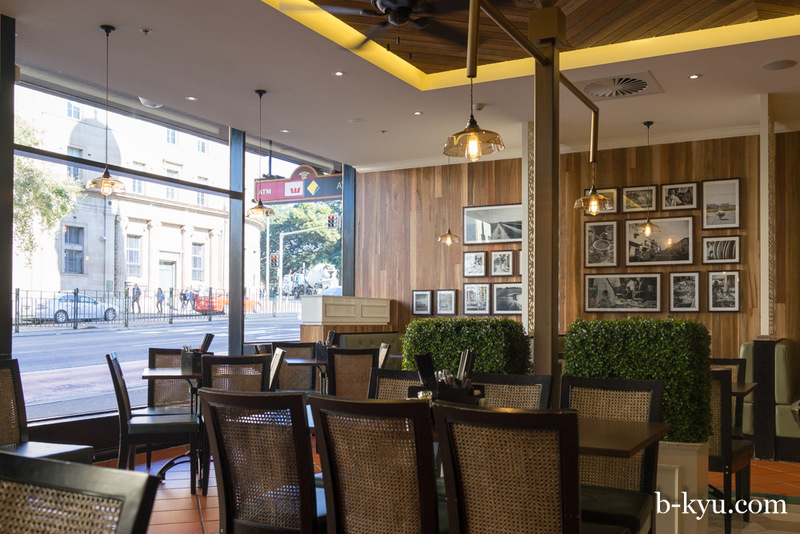 PappaRich Broadway is at 5/185 Broadway, Ultimo. Phone 9281 3228. www.papparich.net.au. 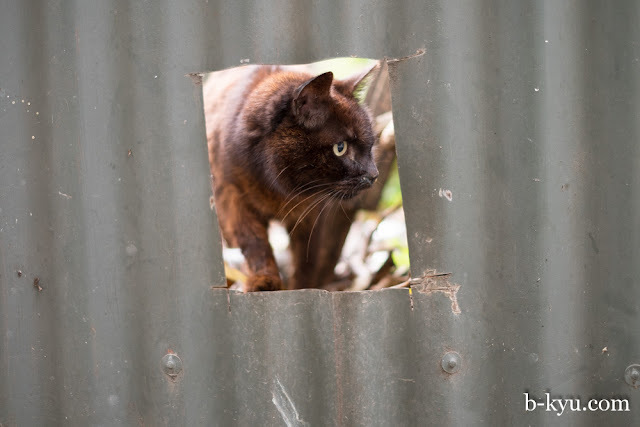 This post was brought to you by Mr Peeping Tom J. Pussycat of Darlington. And Mr Lardarsious J. Pussycat of Abercrombie Street, pat floozy and former bouncer at the Rose Hotel. My mouth is watering so badly right now! yum.